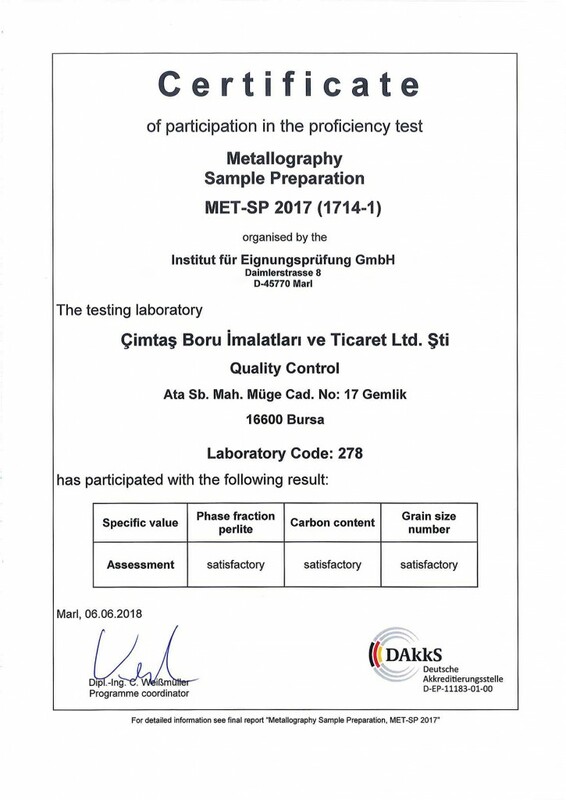 Cimtas Pipe Mechanical & Metallographic Laboratory, TS EN ISO / IEC 17025 accredited since 2017, has successfully completed the “Inter Laboratory Comparison Tests”, organized by Institut für Eignungsprüfung (IFEP), an independent German Organization, and taken its place among the most prestigious laboratories in Europe. 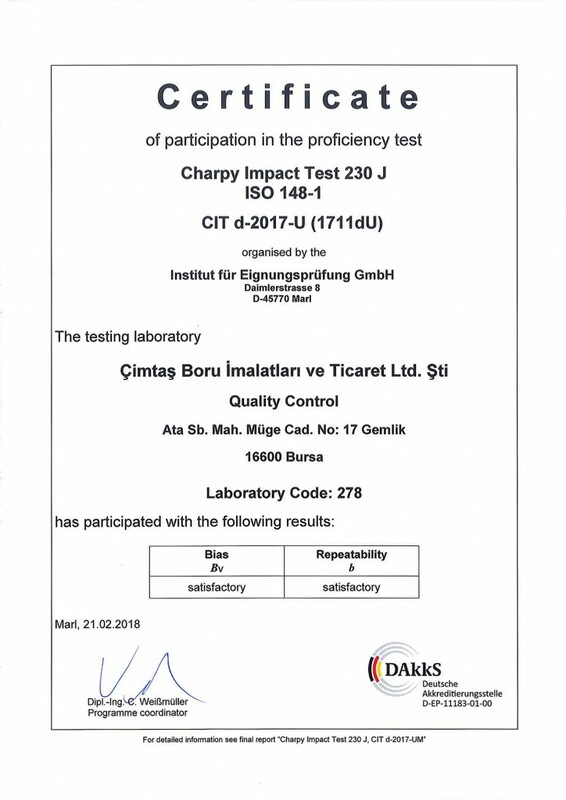 The Inter Laboratory Comparison Tests is a series of proficiency tests devised to evaluate the reliability of your laboratory’s services, and is also one of the requirements of the TS EN ISO / IEC 17025 Standard. 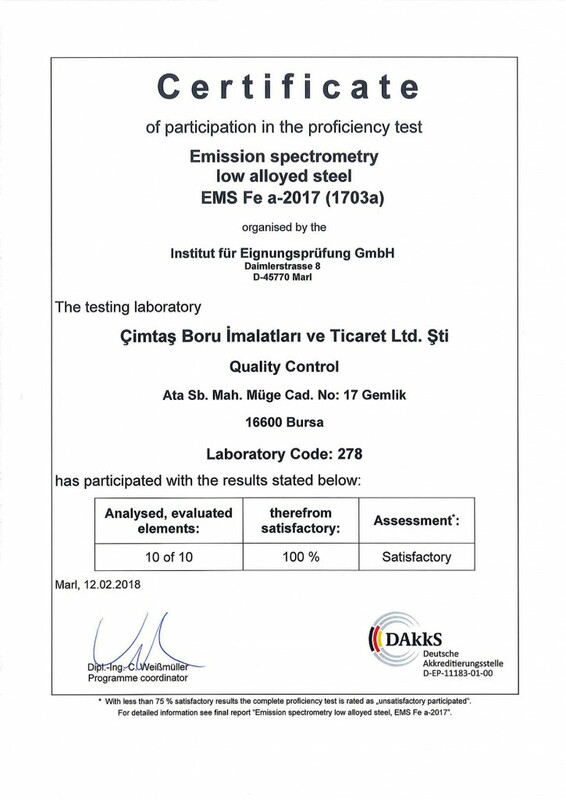 Within the scope of the Inter Laboratory Comparison Tests, Cimtas Pipe Mechanical & Metallographic Laboratory conducted notched impact test, chemical analysis and microstructure analysis of steel materials tests, and the results have been evaluated by IFEP. 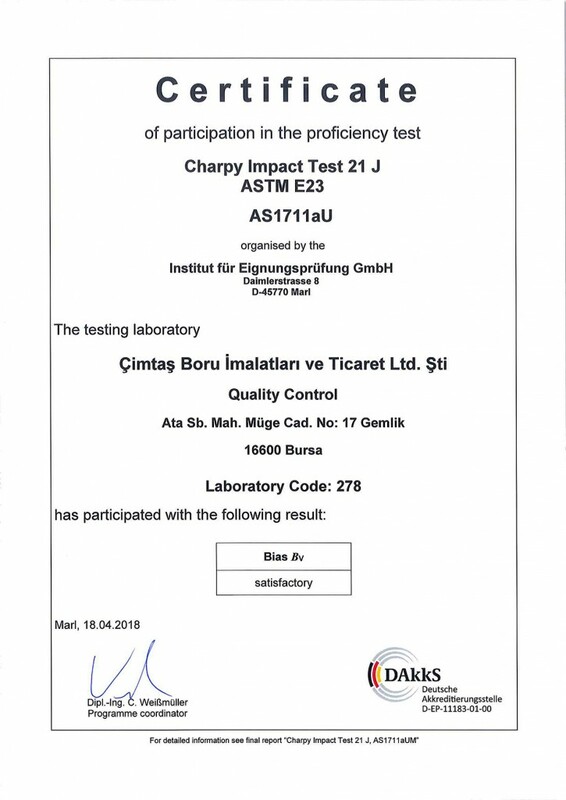 Following successful results in comparison tests across more than 90 renowned laboratories worldwide, the Cimtas Pipe Mechanical & Metallographic Laboratory now stands proudly among the most prestigious laboratories in Europe.